Ew, right? Well, I’ve heard that after a woman has a baby, maxi pads become her new best friend for a while. However, in an attempt to feel pretty post baby, maxi pads and all, I plan to live in maxi dresses all spring and summer. 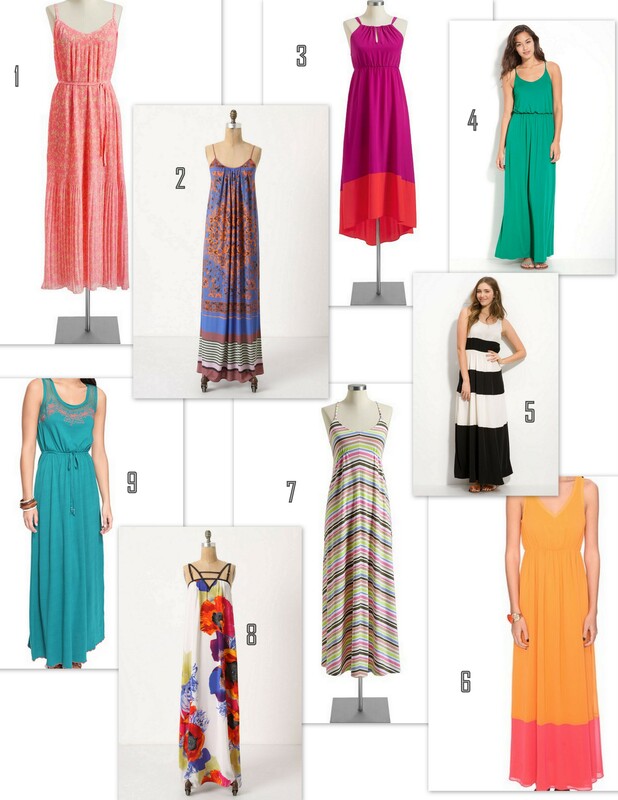 I have a few in my wardrobe (and my husband told me he bought me this one from my birthday wish list post – what a sweetie), but to get me out of my 9 months pregnant and I feel like a whale rut, I’ve rounded up some of my favorite maxi dresses from some of my favorite stores. They all look good ,but I love number 9 ! Friends and family is March 1-4 at Old Navy. This go-round is exclusive according to my managers. As an employee, I can send 20 postcards and 10 email cards to people for 30% off. If you’d like me to send you one so you can save some moola on those dresses, let me know! I have to email the discounts out tomorrow, so please email me at akahl85 at gmail dot com if you would like a coupon! Thank you so much! I actually won’t be ready to purchase any until after I have the baby, so I’ll miss the sale, but thanks so much for the offer! Like #3…u might not b in pads as long as you think though! Effort only fully releases its reward following a person refuses to quit. If you should forecast, forecast often.